Browns quarterback Baker Mayfield has been the spark the team has been waiting for. For the first time in years, Browns fans are upbeat heading into Super Bowl weekend. That’s because the team that went 0-16 into the last off-season is predicted by many to make the playoffs next year. 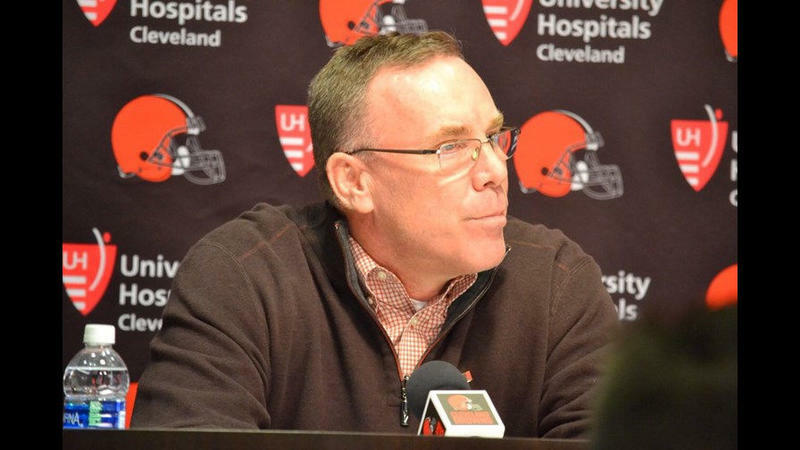 WKSU sports commentator Terry Pluto says for once the Browns have a clear vision in the off-season with General Manager John Dorsey at the helm. Dorsey had only been on the job about a month when the Browns completed their winless 2017 season. “It’s stunning because it is very hard to lose every single game in the NFL. It’s only happened twice," Pluto said. Then came more gloom for fans when owner Jimmy Haslam announced that Hue Jackson would be returning as coach in 2018. He was fired mid-season and everything changed. The team finished with a 7-8-1 record. The Browns had four players selected to the Pro Bowl this year. Joel Bitonio, Jarvis Landry, Myles Garrett and rookie Denzel Ward. It was the first Pro Bowl nod for each player. Last year, the team had no players selected until linebacker Joe Schobert made it in as an alternate. 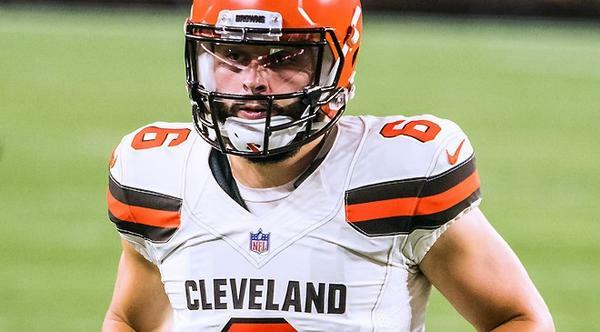 The NFL Rookie of the Year will be named on the eve of the Super Bowl, and quarterback Baker Mayfield is likely to win. He led all rookies with 3,725 pass yards and 27 touchdown passes, the most by a rookie in league history. “The last time the Browns had a Rookie of the Year was 1982 and it was Chip Banks," Pluto said. Banks was a linebacker who the Browns drafted. He went on to be a four-time Pro-Bowler and retired in 1993. “Mayfield set a lot of records for not just the Browns but for NFL quarterbacks as a rookie,” Pluto said. 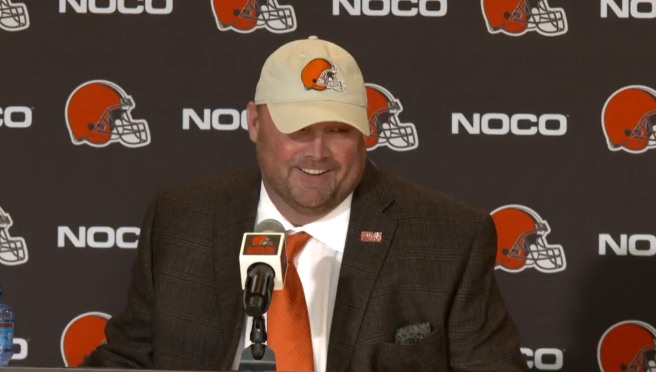 The Browns are also optimistic about new head coach Freddie Kitchens. This time last year he was just hired as running backs coach. He was then promoted to offensive coordinator mid-season. “The Browns are going to become the favorite of the national media as the next team to come out of nowhere." This time last year, Browns fans were speculating who the team would select with its No. 1 pick. This year, the Browns pick 17th, and hardly anyone is paying attention. "They’re just going to take some guy – a defensive lineman or a linebacker or something," Pluto said. "In fact, I don’t know if Browns fans know how to live in the offseason without the 'Gotta get a quarterback' mentality. That’s all gone. A lot of the blocks that you build your team around are actually in place." "When you look at the division -- Pittsburgh, Baltimore and Cincinnati – the team on the rise is Cleveland," Pluto said. "And when you think about it, they beat the Bengals twice, Baltimore once and tied with Pittsburgh." The owners of the Cleveland Browns are officially in the major league soccer business. Dee and Jimmy Haslam completed their purchase of the Columbus Crew this month. The deal saved the team from being relocated to Austin. 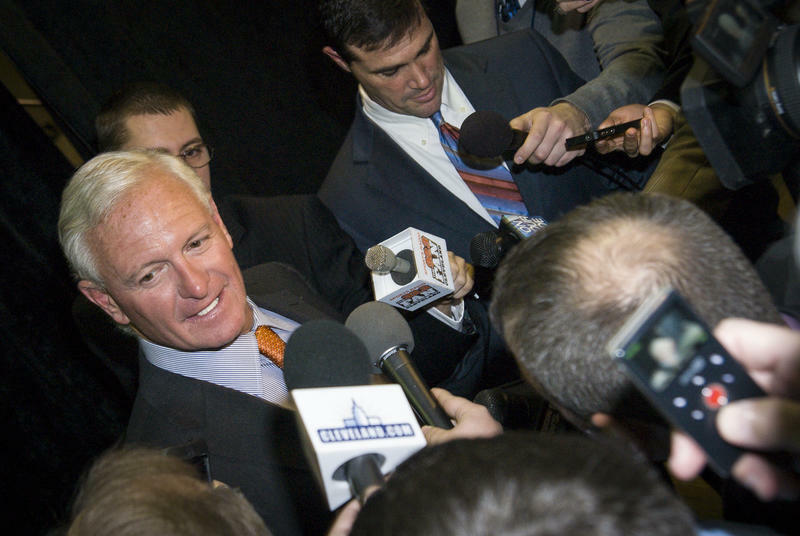 WKSU commentator Terry Pluto said the move was good for Jimmy Haslam's reputation, which has taken a hit throughout his tenure as owner of the Browns. The Browns front office says the hiring of Freddie Kitchens as head coach is all about building on last season’s momentum. The team went 5-3 after Kitchens was promoted to offensive coordinator at mid-season. WKSU sports commentator Terry Pluto said he's always been against teams hiring inexperienced assistants as head coaches. But this feels different.